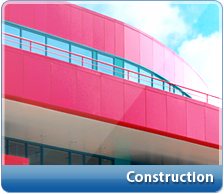 High-pressure laminate products with trademark of Sloplast are used in construction and reconstruction of premises, as a facing and interior design material; decorative plastic is also used for facade panels as the facing for a system of suspended ventilated facades. 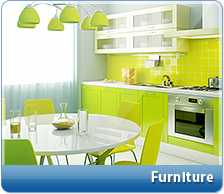 Thin SLOPLAST plastic is used in production of cabinet and kitchen furniture, as a facing material for furniture facades and table tops. This material is unique thanks to a wide choice of ornaments and a possibility to introduce the color printing technologies into furniture design. 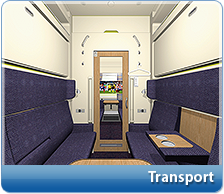 Fire resistant paper-based plastic laminate sheets SLOPLAST is widely used in railway coach manufacturing, shipbuilding, production and repair of buses, trolleybuses, trams, as facing for passenger compartments of passenger transport vehicles, as well as for interior design elements. 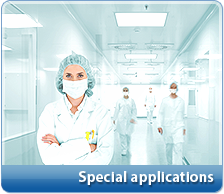 HPL plastic for special applications, thanks to antibacterial additives and antistatic properties, is used for premises with increased requirements for purity, such as operating theatres, intensive care premises, clean rooms in pharmaceutical industry and instrument-making. It is industrial enterprise of the Russian Federation that manufactures and supplies decorative high-pressure paper-based plastic laminate sheets, also called HPL plastic. Decorative plastic is offered on the market for various industries under the trade mark SLOPLAST. 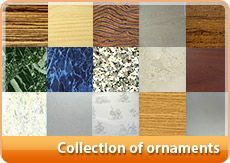 The company manufactures several types of plastic including: compact-laminate for interior design of high-traffic premises (railway and bus stations, lobbies, hubs); facade plastic for exterior finishing in the system of suspended ventilated facades; postforming laminates for manufacturing kitchen facades and table tops; decorative plastic for production of furniture and interior design elements, offered to use in various industries. We invite you to visit our stand on exhibition "InterStroyExpo - 2019"
We invite you to visit our stand on 25th International exhibition "InterStroyExpo - 2019"